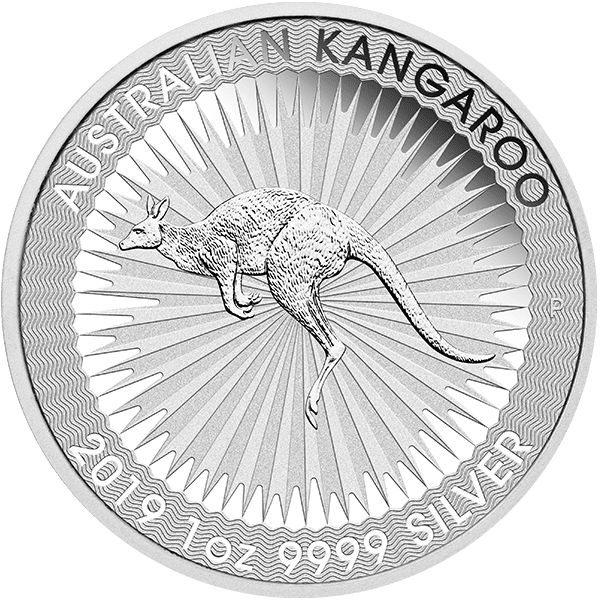 The 2019 Silver Kangaroo from the Perth Mint is now available from Dillon Gage. This .9999 fine silver bullion portrays one of Australia’s most iconic outback denizens. It is also available in the same design in Platinum and a different design in gold. DEALERS – Order NOW! : Call the trading room to order 800.375.4653 or login to FizTrade.com. Shipping this week. The 1 oz. Silver Kangaroo is struck by the Perth Mint and is issued as legal tender under the Australian Currency Act 1965. 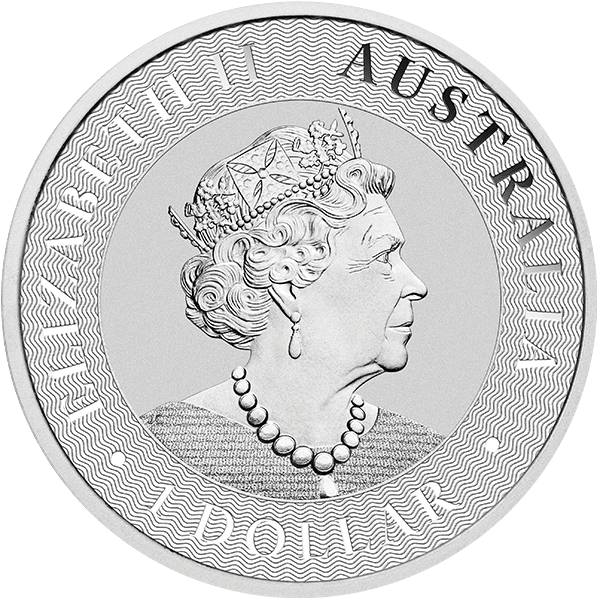 The coin depicts a bounding red kangaroo at the center of a sunburst of light rays, while the obverse bears the Ian Rank-Broadley Queen Elizabeth II effigy. The kangaroo is a large marsupial that has become a much beloved Australian icon, identified by its long tail, strong back legs with large feet, and long, pointed ears. This silver bullion coin has an authentication feature that is designed to make counterfeiting significantly more difficult. Each coin includes a micro-laser engraved letter within the coin’s AUSTRALIAN KANGAROO heading that is detectable only under magnification.